We’ve touched upon the somewhat unstable nature of avocados in the past on this blog. Once you cut into an avocado you have a limited amount of time to use it before it turns brown and unusable. This happens because of the enzyme polyphenol oxidase in the flesh of the avocado. When it’s exposed to oxygen polyphenol oxidase changes the chemical structure of the avocado’s flesh and increases the amount of melanins. So the same pigments that cause you to get a tan in the summer also cause your guacamole to go kaput. While it’s easy to finish up guacamole before it goes bad (because, you know, it’s so delicious), there are times when you want just some avocado, but don’t want the rest to go to waste. I usually encounter this problem when I want to put some avocado on a sandwich since I don’t make sandwiches large enough to use an entire avocado on. So I’m left with half of an avocado that’s now a ticking time bomb. Avocados are kind of expensive, so you should try your best to make sure you use that other half and don’t just end up throwing it out. How does one do this? You could buy one of those “avocado saver” things I’ve seen various places. 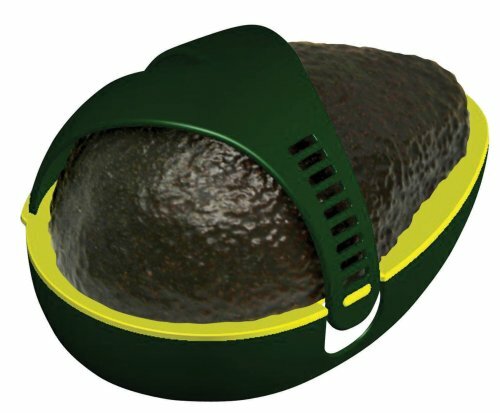 It’s like a sandal for your avocado I guess. I have no idea if things like this actually work though. A quick scan of reviews on Amazon.com gives a pretty mixed bag of results. I think we can all agree that nachos (real nachos, not the kind from 7-11 that are just chips with fake cheese poured over them) are delicious. But they can be a bit messy to eat. Your hands can get dirty, and you can drop toppings anywhere along the trip between the plate to your mouth. Well, what if I told you that we have found a way to make nachos less messy to eat, but still just as delicious? Impossible you say? Nothing is impossible with the power of…pizza! That’s right. We combined nachos and pizza and came up with both the neatest nachos you’ve ever eaten, and also one of the yummiest pizzas. We’ve been on a bit of a nacho kick lately here at PCFG headquarters ever since we discovered how easy it is to make homemade tortilla chips. That’s mainly where the inspiration for this pizza came from. There are some challenges, and always some risk when combining a food that stands on its own with another (lest we forget the Chinese food pizza, which to this day is probably our least successful pizza lab). 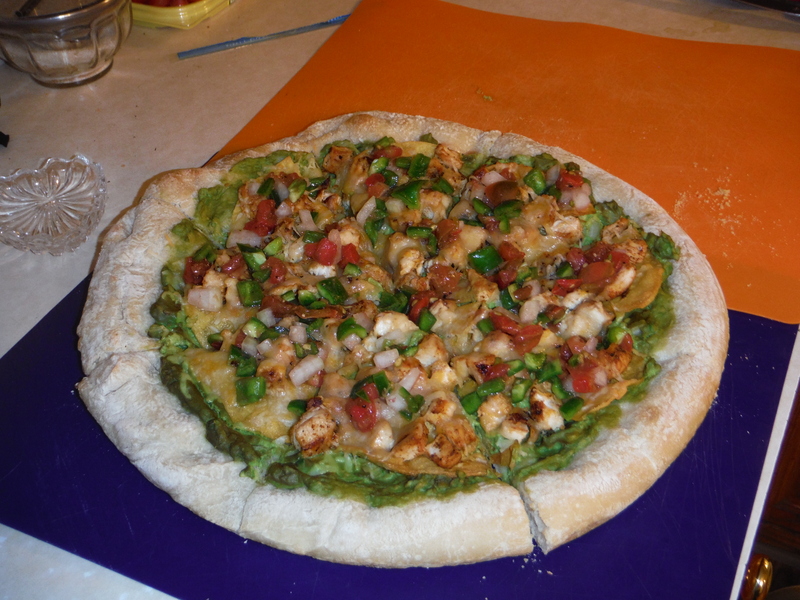 But after some careful planning we decided on the best approach to this pizza, and it ended up working really well!